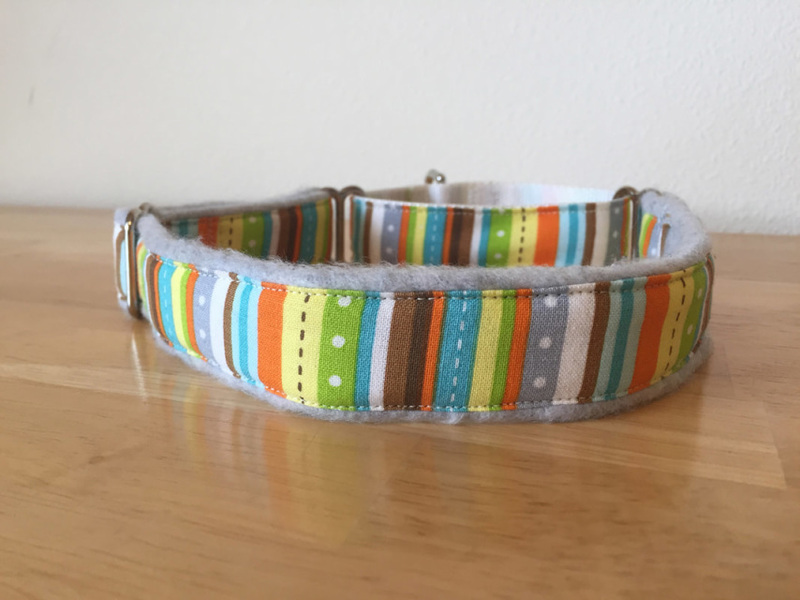 Cozy, stylish and safe, these collars have it all! 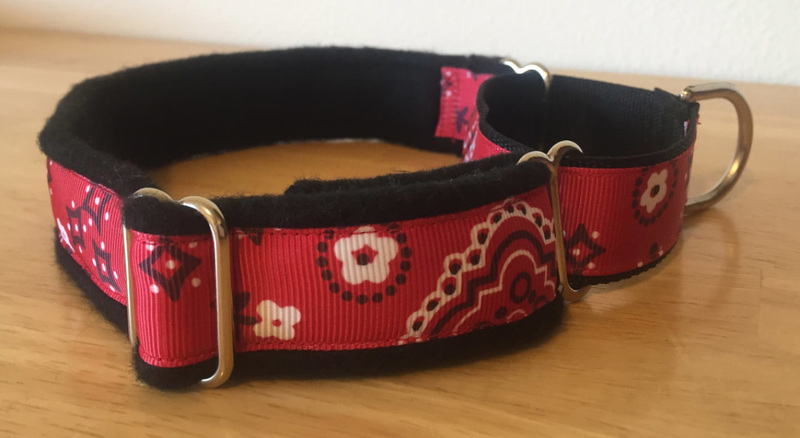 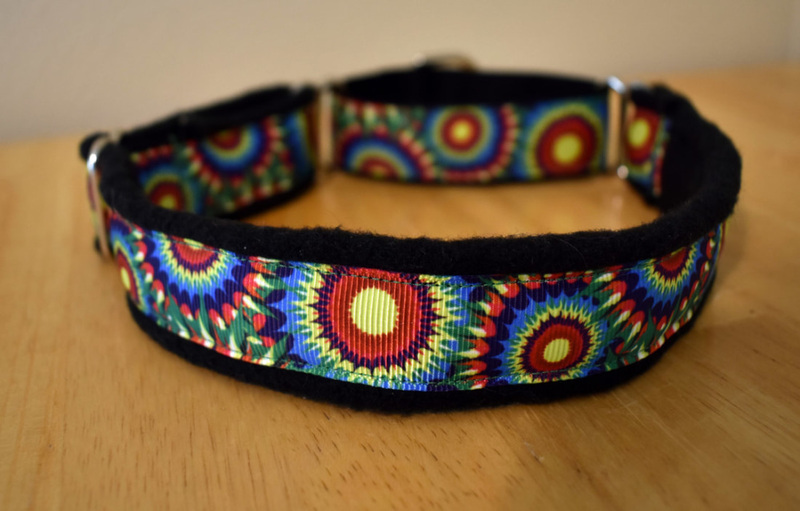 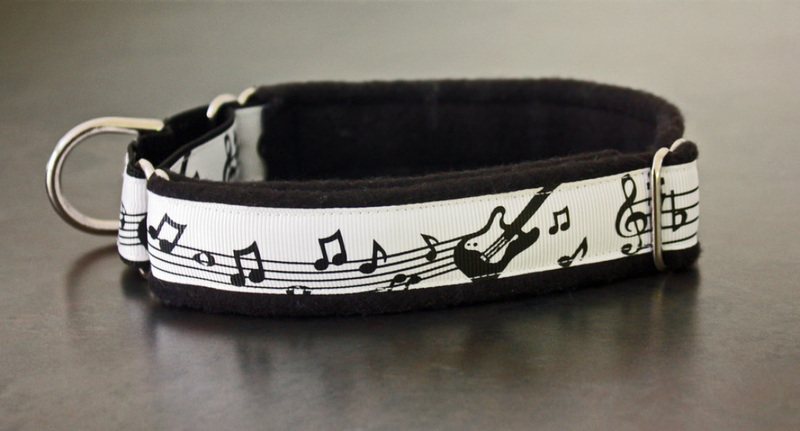 The Lyric Martingale Collar is made with high strength nylon webbing as the base, we then add a nice double layer of fleece followed by either patterned grosgrain ribbon or fabric, the hardware is all steel. 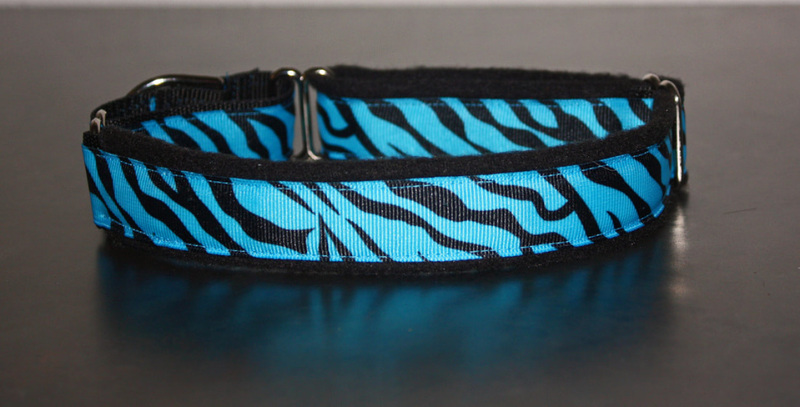 These collars are easy to adjust and are perfect for dogs who like to slip their collars. 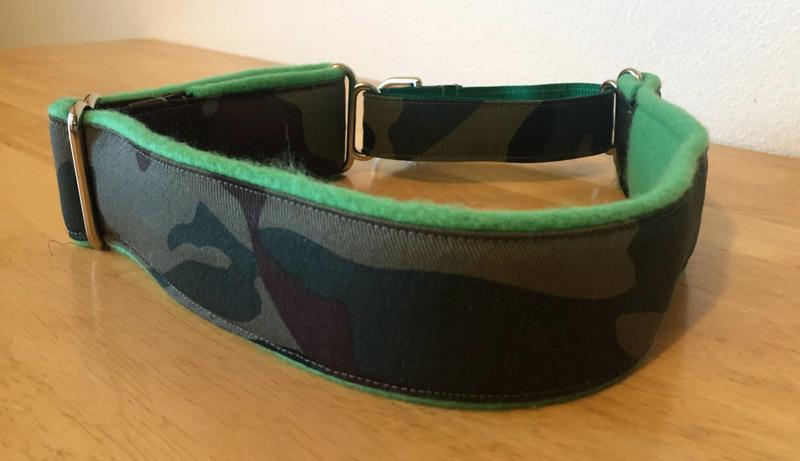 They are nice and soft on the short coated dog as well as not breaking as much coat on the long haired dog like a traditional collar can. 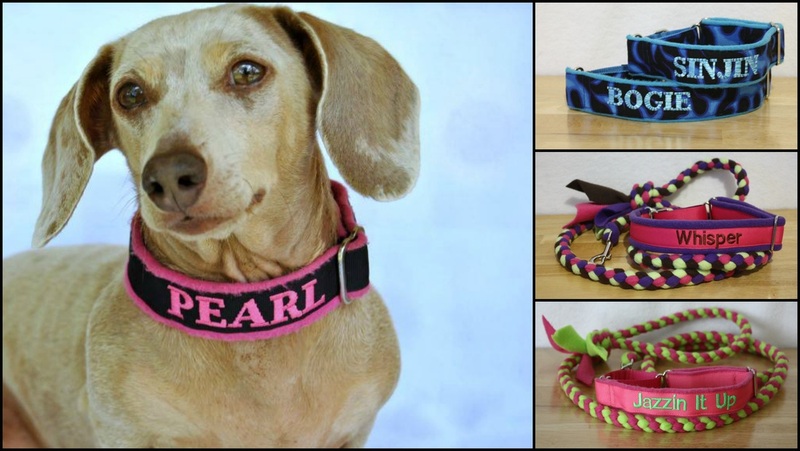 We offer personalization on our collars, check out all the options below!